“This tree is given by the city of Oslo as a token of Norwegian gratitude to the people of London for their assistance during the years 1940-45. 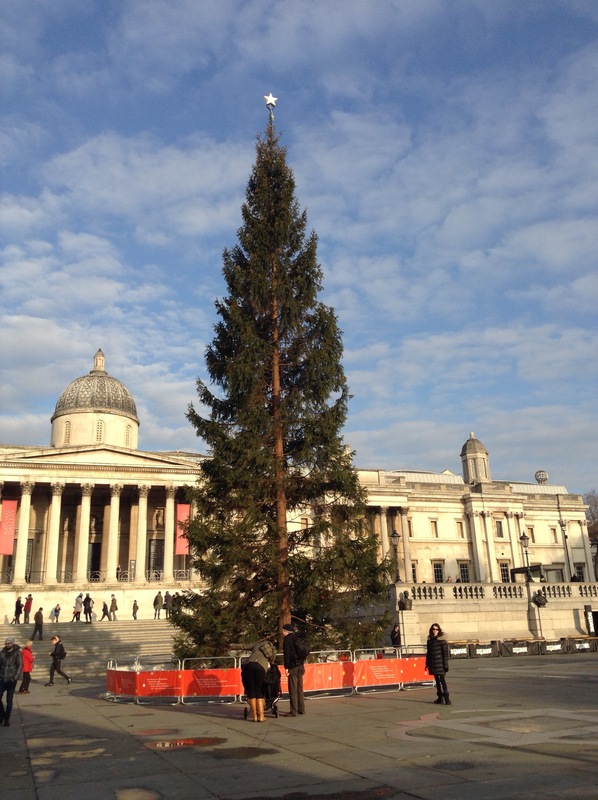 In Trafalgar Square, stands a 50-60 year old Norway Spruce. It is shipped across the North Sea, travels up to London and is adorned simply in the Nordic style with 500 white lights. Around this tree congregate Carollers (singers of traditional Carols), happy school children, rockers, onlookers and fundraisers, proving that under the protection and beauty of green, spiky branches all sorts of people can come together safely. Each year new poems are displayed on banners about the base.